How can I Minimize Cat Shedding? Grooming the cat will eliminate extra hair and reduce shedding. Shedding is a natural process for almost all cats. Dander in cat fur becoming airborne can be bothersome for people with allergies. 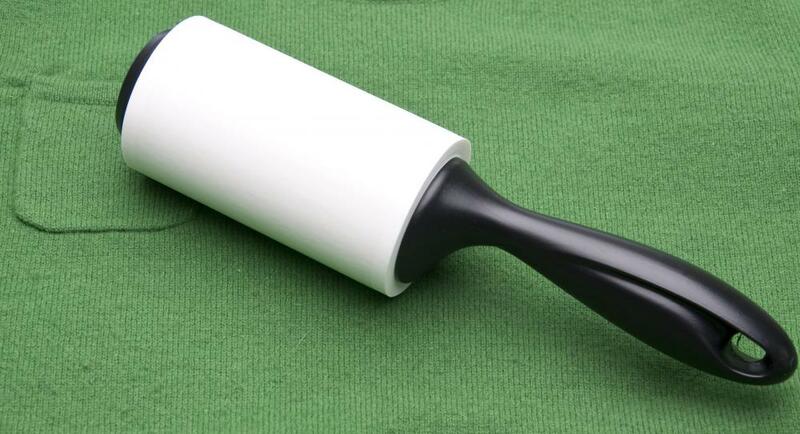 A lint roller can be used to pick up loose cat hair. Cats shed a great deal, and when the dander in the cat fur becomes airborne, it increasingly bothers people with allergies. There is no single way to eliminate shedding, but there are ways to minimize and manage it. Minimizing shedding will not only help reduce the amount of cat hair in your home and on your things, but it will improve your cat’s overall health as well. First, examine your cat’s diet. Cats should eat quality food formulated specifically for cats. Avoid feeding your cat human food and table scraps. 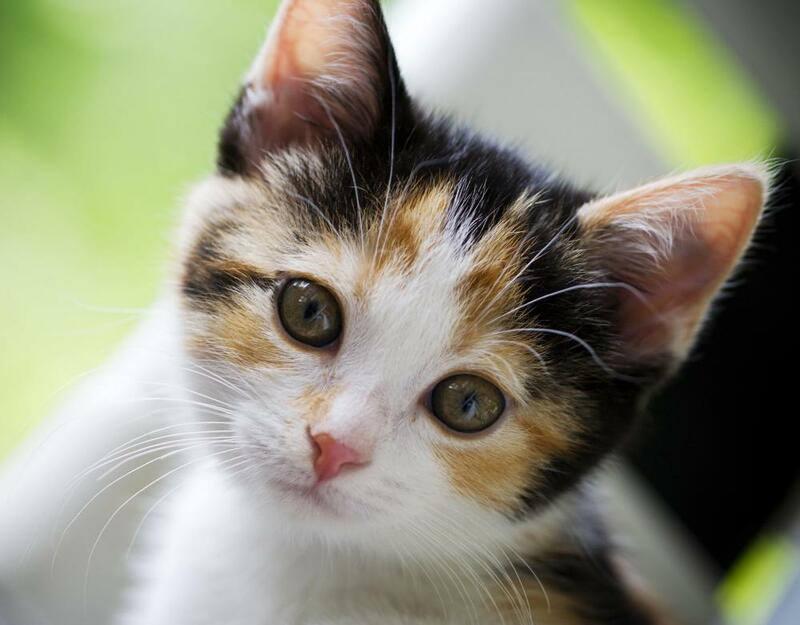 Human food is more difficult to digest and can have an impact on your cat’s digestive system, which can in turn impact the health of the skin and coat. If your cat seems to be having difficulty with a new food, check with your vet about recommended brands. Possibly the best thing you can do to minimize shedding is to keep your cat properly groomed. Cats are proud animals and spend a great deal of time grooming themselves, which is what causes hairballs. As cats groom, they ingest dead hairs that form hairballs in their stomach and later on your carpet. Cats may not seem to welcome the attention at first, but if you get in the habit of brushing them regularly, they will get used to it. Brush your cat with a grooming brush made for cats, and also use a shedding tool for cats. This is a stainless steel comb with blades that remove dead hair from the cat’s undercoat. Grooming your cat by brushing the topcoat and combing the undercoat once a day will minimize the amount of hair loss. You should also avoid bathing your cat too frequently. Cats do not appreciate baths and the experience stresses them out. Cats often experience periods of heavy shedding when they become stressed. A cat does not need to be bathed more than once a month, and once every three to four months is sufficient. Remember that no product or food can completely eliminate shedding, which is a natural process for cats. A proper diet and grooming routine will help keep shedding to a minimum and will positively impact the overall health of your cat as well — leaving time for you to enjoy each other’s company. What is a Curry Brush? Cats experience seasonal shedding right? What's the best way to deal with that? @anon184637-- My cat used to shed a lot too when I first adopted her. Excessive shedding is a sign of malnutrition or vitamin deficiency. Your roommate can buy vitamin treats or supplements for the cats with omega 3 and biotin. Some cat food brands put these vitamins in the food as well. Ever since my cat has started taking these vitamins, shedding has been almost eliminated. She still sheds a little from time to time but it's nowhere near how it was before. Vitamins work or dog shedding as well. I don't know why people say that cats cannot bathe. My cat bathes once every six months. She meows a little in the beginning but then starts to enjoy the warm water. I wash her with baby shampoo and rinse twice. You cannot believe how much loose hair comes off with bathing. Nothing else works as well. Afterward, when my cat is laying in sunlight, I give her a good brushing which removes rest of the loose hair. This is a great way to minimize shedding. It also minimizes the occurrence of hairballs since my cat doesn't lick as much hair anymore. My new roommate has two cats. I always thought I liked cats, but after having two of them in my house, I have come to the realization that I do not. They shed everywhere! I vacuum twice every day, and let's not mention how often I have to dust! I don't know why anyone would ever want to live with these animals. They definitely do not belong in a house! Depending on your situation, letting a cat outdoors will minimize the amount of shedding in the house. Cats will play, roll around, and rub up against things outside. This will take away some of their loose fur. Dirty cats are also more likely to groom themselves. I have also found that cats that play outside are also less likely to have fur ball problems. 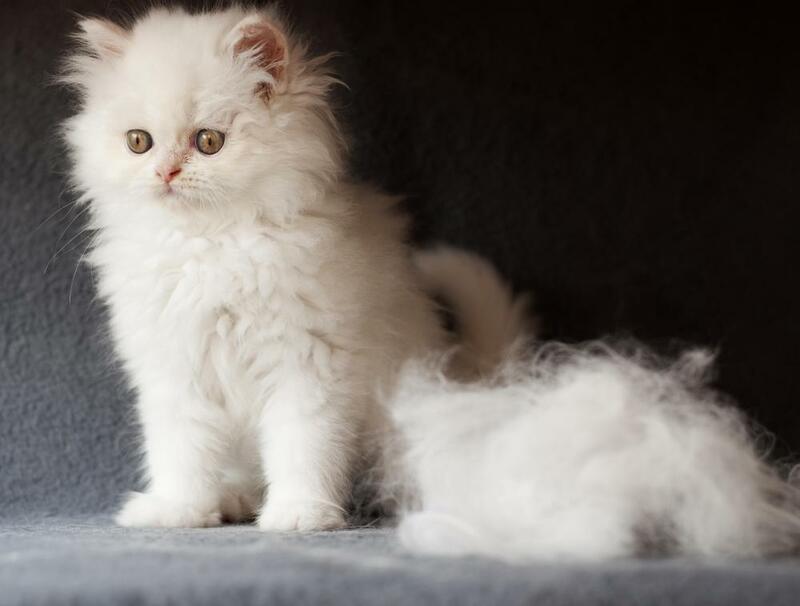 More shed fur being lost on branches and twigs outdoors means your cat will ingest less fur when self-grooming. I think this article is wonderful. I am kind of a naturalist. Through my research, I have learned how important nutrition is for any being. Cats seem to be overlooked a lot in the pet world. I did find one company who has a tiny section devoted to cats compared to their dog info; nonetheless, they have great info on cat nutrition. They also have great vitamins for cats. Anyway, all of this said to tell you that because of good nutrition and Dinovite vitamins for cats, my cat isn't shedding more than twice a year *and* she feels like velvet. You could say, I'm hooked.